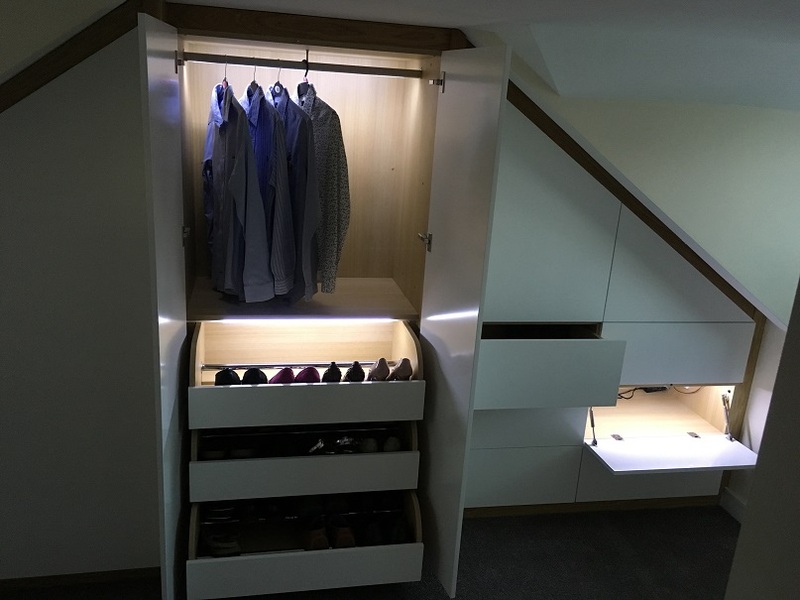 Make your surroundings work for you! 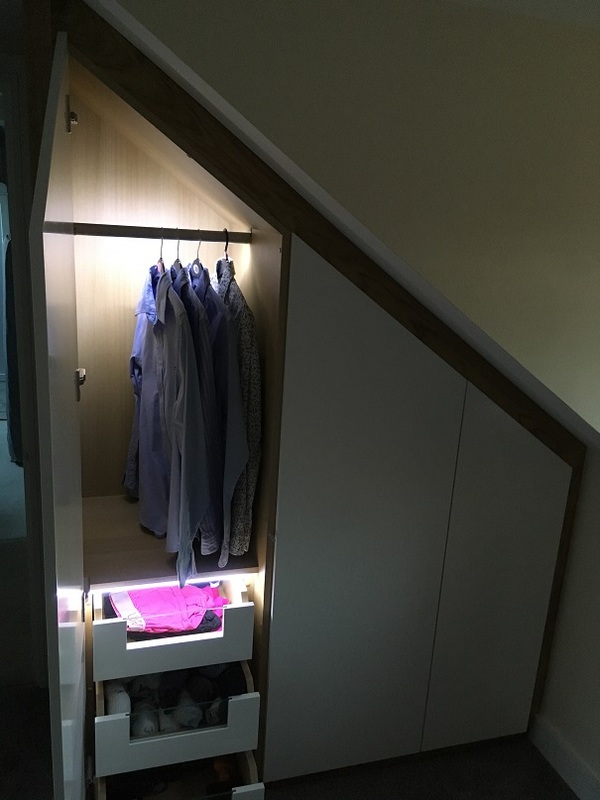 Spittlywood design manufacture and install bespoke fitted wardrobes that can help you to make the most of your existing living space. 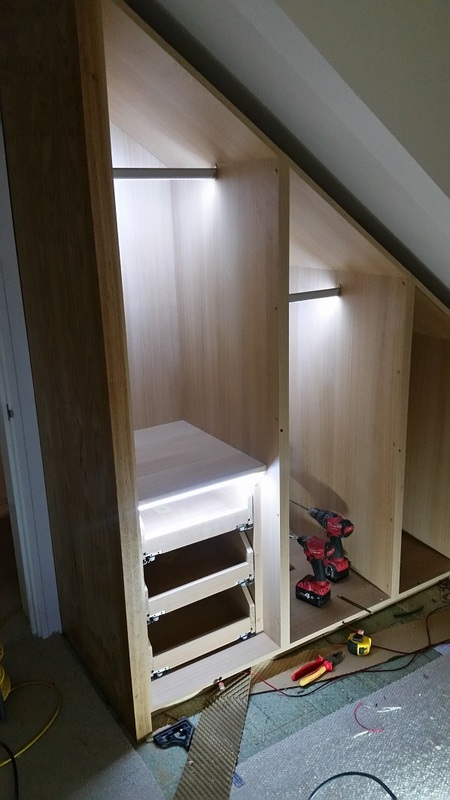 Here are some before, after and during shots of our made to measure storage solutions. 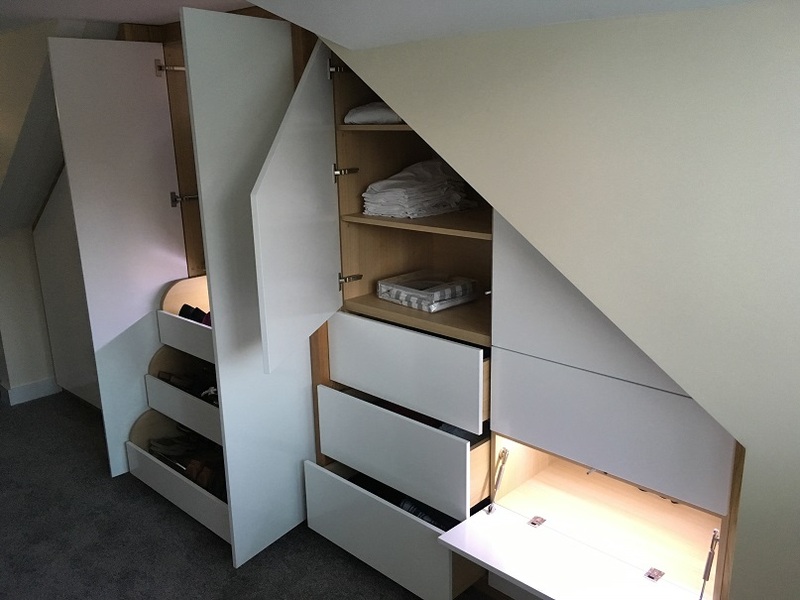 The team at Spittlywood are able to provide your fitted wardrobes in a variety of woods and finishes. 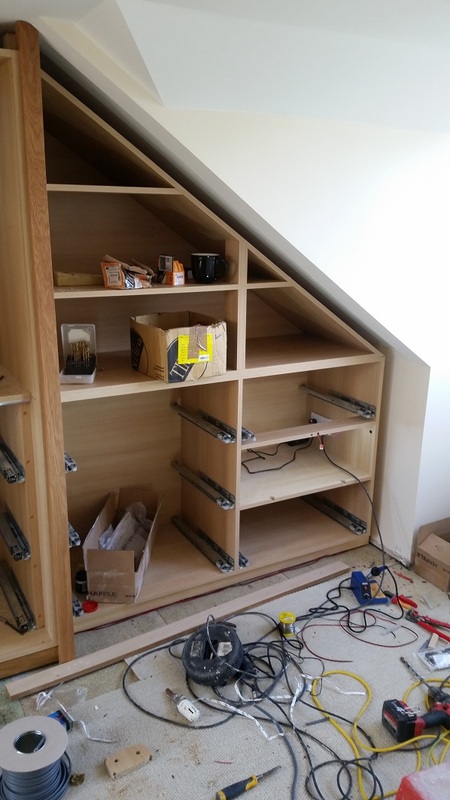 We have the know how (and the tools) to create your perfect storage solution. 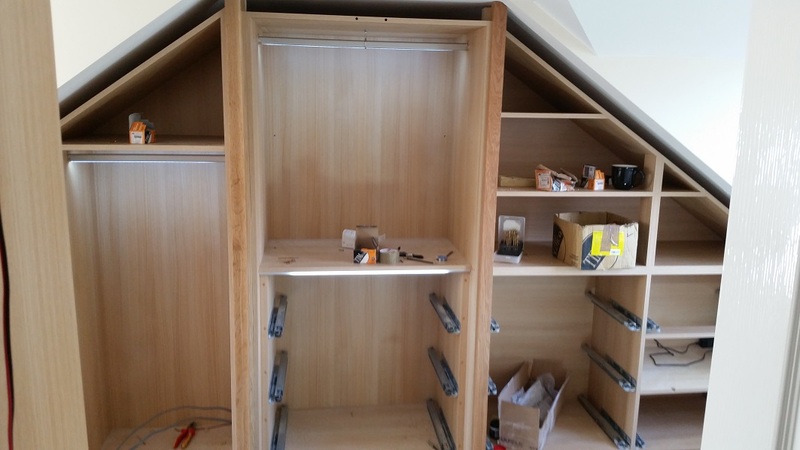 before assembly at your home our fitted wardrobes are crafted by hand in our joinery workshop in Hamstreet near Ashford Kent.